What is a Side Sewer? A side sewer is a privately owned and maintained pipe that is a minimum of four inches in diameter. It connects to your home’s interior plumbing, approximately 24” from the foundation of your home to the public sewer system, junction or outlet. 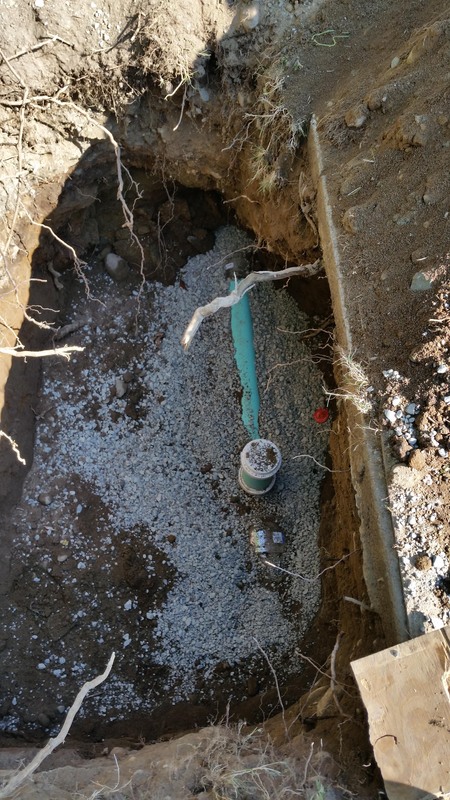 In some cases the side sewer will connect with the neighbor at what is known as a common line and then it turns into a six inch pipe. When you do have a common line then you share responsibility for the upkeep of that side sewer from where they join. They tend to join in the right of way near the city sidewalk, but not always. Almost everyone in Seattle and King County have a side sewer, unless you are on a septic system. The side sewer is your responsibility to maintain and keep this system running properly, which means it can be very costly should you get any roots or breaks in this line. Your Fox Plumbing & Heating neighborhood plumbing professional is here to answer any questions that you might have about your side sewer and some helpful hints for home owners. I n some cases you’ll have to break the concrete to get access to replace it. 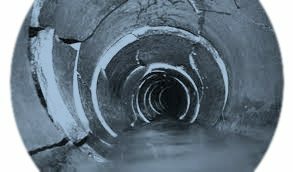 Now, many of the side sewers in Seattle, Kent, Redmond and King County are made out of clay, concrete or some other type of material that is different than the type of pipe that runs through the home, and they are a different diameter than the home’s sewer line. The way they used to do it! Back in the day, the majority of the homes used a four inch cast iron pipe (soil stack) that stubbed out of their home at approximately 24”. At that point the side sewer uses a four inch clay or concrete pipe. Sewer contractors would shove the concrete over the cast iron and mortar the joint together. Also, this is how they would join together the four inch pipe to the six inch pipe at the transition in the right of way or the point where the side sewer emptied to the city line. Today, this is where we notice most of the failures that we see in older side sewers. Sewer contractors used concrete wye fittings to make a 45 degree bend and would use a round concrete cap to plug an opening on the wye. This is one of the favorite spots for roots to attack. Needless to say the material used today is more efficient, and we use more effective ways to join the material. The major problem that we notice with old concrete pipes is that over the years the water and solids that have been put through them tends to wash the mortar away leaving the bottom of the pipe very thin and aggregated. Over time the pipe starts to break apart and collapse. When you put the camera down the pipe it looks like someone has dumped buckets full of rock down the pipe. That’s the pipe itself, and it has started to collapse and break apart. At this point, a side sewer pipe replacement is inevitable. Do you know where to find information about your side sewer? You can get information on specific parcels via side sewer card, lateral map and/or photographs all of which should be provided by your Department of Planning and Development. If you live in Seattle you can call (206) 684-5362 and they will be more than happy to help you with more information. How can you tell if you have a problem with a side sewer? There are several clear signs that you can look for when you’re concerned about your side sewer. 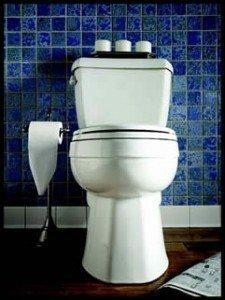 If you notice that a toilet is making burping sounds and bubbles are coming up with the burping noises. The lowest fixture in your home, ie. the shower pan on the floor drain, has disgusting black water coming out of it. When you run water in your home, that water is coming up from the lowest fixture. Water is coming up from the base of the toilet. Many times you may call a plumbing professional for a clogged shower or tub only to learn that the entire side sewer is backed up. There are numerous indicators of having a backup, and none of them are good signs. What you need to remember if you have side sewer problems! Do not put trash down the home sewer! This includes, baby wipes, diapers, condoms and feminine hygiene products. It’s always important to remember that the only thing that should go down the toilet is toilet paper and waste. We're not the only ones who see this as an issue. Check out the recent story from MyNorthwest.com on this exact type of issue. 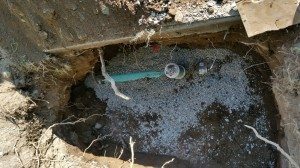 What are some common things that might cause your side sewer to back up? FOG - Fats, oil and grease are a common thing that can back-up your sewer and cause blockage. Never pour grease or put food down the drain or toilet. And always pour left over cooking oil or grease into a can and place it in the trash. Tree Roots – Trees that are close to or are very old can cause numerous problems with side sewers, they can break or grow into and split side sewers. If you can’t live without your trees then it’s a good idea to hire a rooter service, like Fox Plumbing & Heating, on an annual or semi-annual basis to have them come grind out the roots from your side sewer. Think that you might have a side sewer problem? Something about the professional products that Fox Plumbing & Heating offers and how your neighborhood plumbing professional is here to help you with your side sewer needs. And you can click this link to learn more about side sewers. Great stuff! People need to be more aware of these things because it is a part of their home! Brilliant article. I really enjoyed reading about what a side sewer is. I'm going to use this information at my home to make sure we don't have any sewer problems.